Twin Anchors Golf Club is a Public, 9 hole golf course located in Colo, Iowa. Twin Anchors Golf Club first opened for play in 1993.  The course was designed by Jerry Reible. The course is full of natural splendor, including several trees that are more than 100 years old. Water hazards come into play at least six times during the round. Par for the course is 34. From the back tees, the course plays to 2,206 yards. From the forward tees, the course measures 2,020 yards. The longest hole on the course is # 6, a par-4 that plays to 340 yards. The shortest hole on the course is # 2, a par-3 that plays to 121 yards from the back tees. Watch out for # 7, a 277 yard par-4 challenge and the #1 handicap hole on the course. The easiest hole is # 3, a 232 yard par-4.